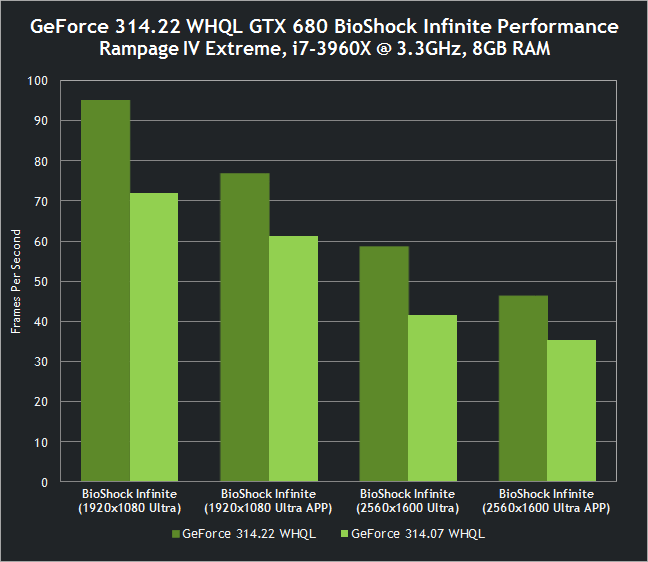 With today’s release of BioShock Infinite comes a set of new graphics drivers for NVIDIA users. It offers a number of graphics improvements for games such as BioShock Infinite, Tomb Raider, Sniper Elite V2, and Sleeping Dogs. So, if you’re playing any of those games, you’ll get the best experience by using the updated graphics drivers. Ready to download? Click here.